Some people invest on the design of window frames for their home. It may be made of concrete or wood with beautiful embossed intricate designs that gives accent or highlights to your room. One thing that you don’t want to do is to obstruct these window frames with curtains or even with blinds. 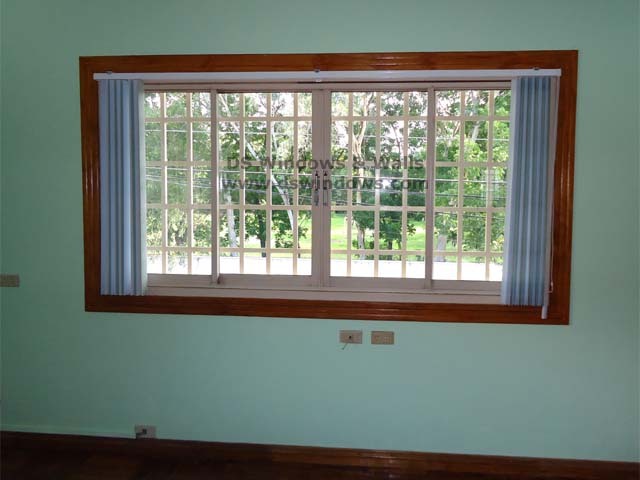 Just like with one of our customer from Sacred Heard Quezon City, his windows got beautiful wooden window frames and it’s a shame to block it with any window covering. The solution to this is to customize the window blinds to inside mounting. This is one of the advantages of window blinds compared to curtains since curtains are most of the time mounted outside the window frame. When it comes to inside mounting a window blind, the roller or venetian blinds comes to mind. This is because vertical blinds is mounted normally outside the window frame. If you really prefer vertical blinds (and with so many good reasons to prefer it) do not worry since vertical blinds can also be beautiful when mounted inside the window frame to avoid obstructing the window frame designs. As shown in this photo, vertical blinds (fabric or PVC type) can be mounted inside a window frame by following some guidelines. Since DS Windows & Walls provides free measurement you need not worry about the guidelines on how to properly measure an inside mounted PVC vertical blinds. However, if you are one of those people who opts to do-it-yourself you need to follow a few important steps. Measure the top of the window frame since this is where the aluminum railings will be fixed. Make sure that you have a least 3-4 inches depth, you don’t want the PVC vanes touch the windows when opening/closing the blinds. Unlike other blinds you need to be precise with the height. Make sure you subtract at least half an inch to the height since we want to avoid the PVC vanes to touch the bottom part of the window frame. Also, alternating colors of PVC vertical blinds made their home interior look modernized and unique. They also decided to make the opening of their vertical blinds into split type. Split type controls split the blinds from the center, it is suitable for wide size of the window. It also offer low maintenance so you don’t need to spend more time cleaning it, just a quick wipe of cloth or feather duster it will easily make your blinds clean. 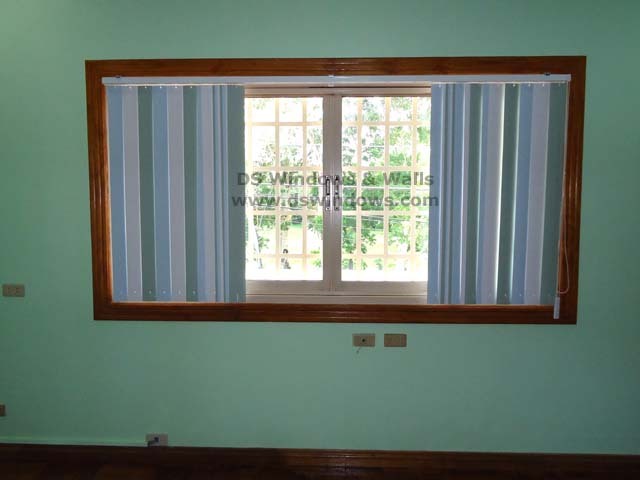 Aside of window blinds DS Windows and Walls Interior Suppy also offer PVC folding doors, wallpaper and carpets. 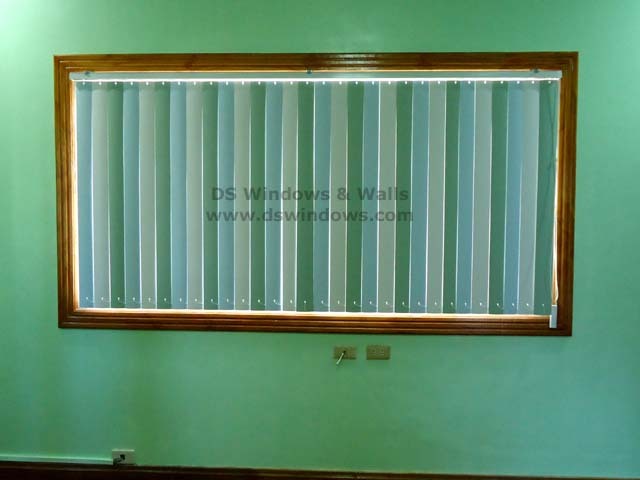 For inquries you may email us at inquiry@dswindows.com or call us at (02) 403-3262 / (02) 668-9668 / (02) 893-1373 and 0916-311-3909. To check our swatches and product samples you can also visit our shop located at 4th level Waltermart, Makati City, 3rd level Robinson Metro East, Pasig City and 2nd level Pacific Mall, Lucena City.